If you’ve decided to take the plunge or are already married, remember that any marriage union is still half unfinished without having the money talk. You would probably want to move into a new home, buy a new car, finance your own business, or even plan a baby with your partner. And all these personal, as well as couple goals are closely tied to your finances. Couples may differ with each other in regards to financial affairs, mostly because they have been raised differently, have handled money differently, spent and valued it differently from each other. The first step should be to discuss and list out each of your life aspirations and financial goals. This process essentially involves weighing in the importance of various life objectives. These life objectives would require the involvement of financial resources such as – security, emergency, health, family, travel, career, retirement plans etc. After listing them out, both of you should rank them individually as per your perceived importance of each objective. This helps one to understand their partner’s money values and find a middle ground for achieving financial goals together. The next step would be to write down all the joint numbers namely – income, estimated expenses, existing assets or debts. This involves coming clean about one’s sources of income, wealth owned, credit history, current debts, to name a few. This exercise not only helps avoid any future surprises but is also vital to set up a quantifiable plan. Where are we right now financially and where do we want to reach? While this step is a starting point to planning finances, it should be carried out on a recurring basis in order to align your financial standing with your money goals as a couple. This monthly review and feedback task effectively helps track each other’s spending habits and opens the room to feedback for making adjustments and alterations. One should also discuss possibilities of alternate/incremental sources of income in near future and how they plan to manage any extra money that may turn up. Insurance, health, unemployment, child’s education, and old age support may seem like hard questions, but hold paramount importance in one’s life. Any unexpected expenses can throw you off track with your goals if you do not have an emergency plan of action. What if one of you passes away? The last thing you would want is for your partner to be troubled economically in such a scenario. Set aside a pool of liquid money, discuss each other’s insurance coverage, put your money at work via investment or open a college fund for your kid. A contingency plan will make sure that in the event of any unexpected circumstances, each of you has a comfortable cushion to fall back on. Sharing money and financial responsibilities can be challenging and the solution to it varies highly according to one’s earning situation. There’s no “one system fits all” approach to it. Some couples may comprise of dual earners who may or may not earn equally. Some couples may consist of one working partner and another stay at home parent. Regardless of who brings the bacon home, each of them requires to be put at a level playing field and feel equal in the process. Separate bank accounts ensure financial freedom, but a pre-requisite to it would be to establish transparency with each other. 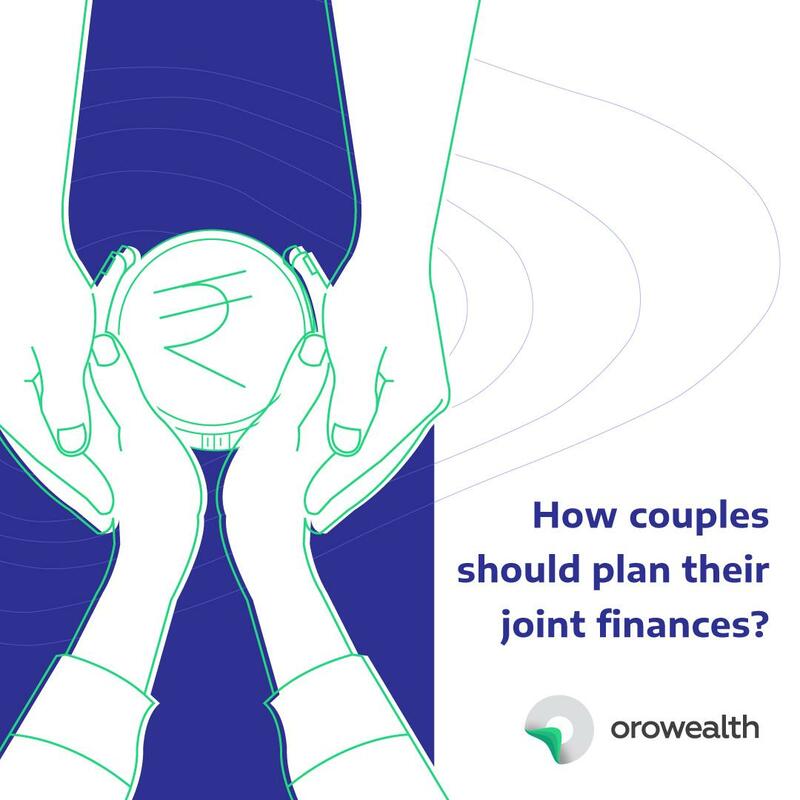 While one can always open a Joint Account and merge their finances, couples should also ensure that financial autonomy is not lost in the process. Couples can come up with a pre-decided allocation of expenses which shall be in the proportion of income earned by each individual. For example, if you make 60% of the combined income, your expenses should also be in the 60:40 ratio. It is a good idea that both of you play an equitable role in handling finances too. This involves sharing responsibilities around routine day-to-day bills to long-term investment plans or even planning out your taxes. Cherry pick your interest areas and contribute your financial acumen in the conversation with your partner. To keep things interesting, exchange your responsibilities with each other on a regular basis. This not only helps split the burden but now both of you have an idea about the kind of expenses that go on in each other’s lives. While money might have been allocated to each of you, financial autonomy doesn’t mean that there shouldn’t be any ground rules for spending them. Do not make the mistake of ignoring the elephant in the room. Currently, you may have stable jobs and a running income, but what about the future, especially post-retirement? Planning your retirement is a crucial discussion to have with your spouse. It is important that each of you has shared expectations when it comes to your post-retirement lifestyle. While you may want to have a comfortable life and own a home to yourself, your partner might want to instead travel and explore the world. What if one of you plan to retire early? It is important to be on the same page as your partner in these matters and it is never to early to start thinking about retirement. Talk over and analyze different annuity plans ranging from lump sum or monthly pension plans and what would suit your situation the best. Any negligence in this matter and you might end up at the finish line with less than what you would need. You might be very aggressive with your investments while your partner can be really risk-averse when it comes to financial ventures. Consulting an investment adviser is probably the best way to arrive at a consensus in such circumstances. Whether you plan to take a home loan or park your funds in mutual funds, joint investments if done with the right advice can prove to be quite fruitful in the long run. Just like sharing expenses proportionally, both of you could narrow down a fixed investment allocation in the ratio of your combined income. An investment expert can help draw up a balanced portfolio to suit your diverse risk appetites and income. Honesty and communication coupled with sound advise is the key to monetary happiness. Couple finances need not be a source of animosity in all cases – as long as you’re open to discussion, your marriage need not begin on a wrong financial footing. After all, marriage is all about teamwork.